RIMBAW(To Overcome) excerpt on James Balao from Cordillera Human Rights Alliance on Vimeo. September 17, 2013 marks the 5th year of the enforced disappearance of James Balao, founding member of the Cordillera Peoples Alliance. Since that day, his family, friends, colleagues and human rights organizations searched for him trying to leave no stone unturned. 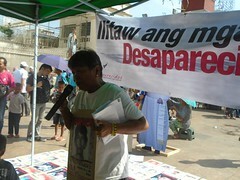 The continuous enforced disappearance of James portrays the injustice and impunity in our country. Despite difficulties, the family, friends and colleagues of James will continue the search. 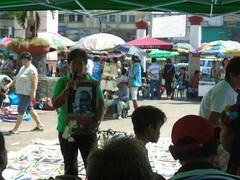 Peace and human rights advocates will not cease in calling for the immediate surfacing of James. 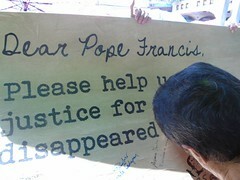 We will search for him with the ever-heightening rage against injustices and human rights violations. *Rimbaw (To Overcome) is a 32 min documentary on victims of human rights violations and their families.